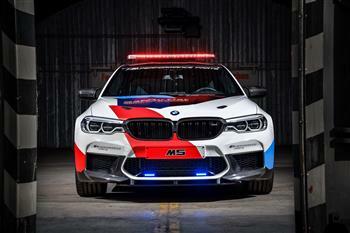 Innovative technology for safety in the pinnacle of motorcycle racing: the new BMW M5 MotoGPTM Safety Car. BMW GS Safari – Live on 7mate. The next title win for the BMW S 1000 RR: Raffaele De Rosa is champion in the FIM Superstock 1000 Cup. Course car in the next MotoGP season will be based on the new BMW M5.